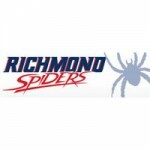 The University of Richmond has announced an official sellout for the Richmond-Davidson game on January 17 at 6 p.m. in the Robins Center. 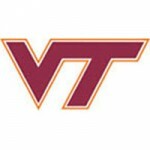 Despite the quick trip down Interstate 81, the Virginia Military Institute men’s soccer team fell at high-octane Virginia Tech Tuesday evening. An unfortunate deflection with just over 30 minutes to go led to the only goal of the game, as the Radford Highlanders squeaked past the VMI Keydets, 1-0, in non-conference women’s soccer action Friday at Lexington’s Patchin Field. Bill Roth, “The Voice of the Hokies”, joins ACC Digital Network host Jeff Fischel to discuss Virginia Tech football leading into their game against #8 Ohio State. Video: Virginia Tech alum David Wilson making leap to Olympics? Former Virginia Tech Hokie and 2011 ACC Player of the Year David Wilson announced that he will pursue a career in Olympic Triple Jumping. The ACC Digital Network provides footage of Wilson triple jumping while in Blacksburg. ACC Digital Network host Jeff Fischel chats with Virginia Tech’s Willie Byrn and Luther Maddy at ACC Kickoff. In addition to their plans for the upcoming season Byrn talks about winning a freestyle rap battle and Maddy talks about Coach Beamer. ACC Digital Network host Jeff Fischel chats with Florida State QB Jameis Winston and DB P.J. Williams at ACC Kickoff. Winston and Williams talk about the pressure of defending the national title and who is the best player on the Seminoles squad. ACC Digital Network host Jeff Fischel chats with Clemson DE Vic Beasley at ACC Kickoff. Beasley talks about how the Tigers defense has a chip on their shoulders and the next step the defense has to take this season. ACC Digital Network host Jeff Fischel chats with Wake Forest’s Jordan Garside and Kevin Johnson about the upcoming season, their new head coach Dave Clawson, and Jordan’s bench pressing skills. Louisville head coach Bobby Petrino joins ACC Digital Network host Jeff Fischel to talk about the Cardinals historic entrance into the ACC. Bobby and Jeff discuss Louisville’s 2014 football schedule, the Cardinals’ dynamic offense, plus more! Former NBA Draftees Julius Hodge and Cory Alexander and former UNC player Jason Capel discuss UVA star Joe Harris being selected 33rd overall by the Cleveland Cavaliers while hanging out at the ACC Digital Network Players Draft Party. 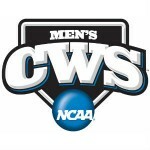 #3 UVA will face Ole Miss in the College World Series on Sunday. 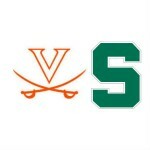 ACC Digital Network host Jeff Fischel breaks down the matchup and tells fans what they can expect from the Hoos. ACC Digital Network host Jeff Fischel recaps a special night for Virginia baseball as the Cavaliers advance to Omaha for the College World Series. ACC Digital Network host Jeff Fischel recaps where the ACC players were selected in last night’s MLB Draft. ACC Digital Network baseball analyst Sean McNally joins host Jeff Fischel to preview the upcoming Super Regional between Maryland and UVA. Commissioner John Swofford announced a significant change for the ACC basketball tournament on Tuesday. Beginning in 2015, the tournament will start on Tuesday and the championship will be played on Saturday night. ACC Digital Network host Jeff Fischel reports on the latest news from ACC Spring Meetings at Amelia Island. Commissioner Swofford announced his football schedule recommendation on Monday. Rick Carlisle’s Dallas Mavericks just evened up the their playoff series with the Spurs. The ACC Digital Network takes a look back at Carlisle’s time in Charlottesville. The Mavs coach stared with the Cavaliers and was co-captain of the UVa. team for the 1983-84 season. There are some good moments for Carlisle and some not so good moments in this ACC Hidden Gem. ACC Baseball Weekly goes station-to-station with all the news around the Atlantic Coast Conference. 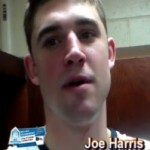 This week, ACC Digital Network host Jeff Fischel analyzes UVA basketball star Joe Harris’ pitching mechanics, discusses a record-setting game for NC State’s Carlos Rodon, and gives you the walk-off stat of the week. 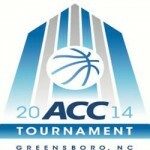 Video: Which ACC team can make a deep run in the NCAA Tournament? ACC Digital Network host Jeff Fischel and Georgia Tech great Drew Barry talk about Virginia, Duke and Syracuse’s chances in the NCAA Tournament and which one of these teams has the best makeup to make the deepest run in the NCAA Tournament. 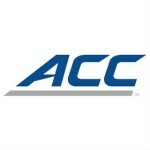 The ACC Digital Network’s Jeff Fischel and Drew Barry discuss the ACC Tournament Semifinal matchup between Pittsburgh and 6th-ranked Virginia. They take a look at the Cavaliers last second loss at Pitt during the regular season and how playing UNC to the wire on Friday could impact the Panthers’ energy level coming in. Tipoff is set for 1 PM ET Saturday. ACC Digital Network host Jeff Fischel and analyst Drew Barry preview the NC State-Duke matchup in the ACC Tournament Semifinals. Barry is excited to see Jabari Parker and T.J. Warren do battle and identifies who needs to step up on both sides. ACC Digital Network host Jeff Fischel chats with Duke’s Rasheed Sulaimon after the Blue Devils’ dramatic victory over Clemson in the ACC Tournament Quarterfinals. Sulaimon discusses Tyler Thornton stepping up on the final play and the exciting matchup with NC State Saturday at 3 pm. ACC Digital Network host Jeff Fischel and analyst Drew Barry discuss Maryland’s final ACC Tournament ever and identify the two key players in this 2nd round matchup. ACC Digital Network host Jeff Fischel looks at his top three storylines heading into the ACC Tournament. Video: Would the ACC consider divisional realignment? ACC Digital Network host Jeff Fischel talks with ACC Commissioner John Swofford about division realignment. Swofford discusses why the divisions will remain the same but could change if the NCAA gives new flexibility with its rule on divisions. ACC Digital Network host Jeff Fischel talks with ACC Commissioner John Swofford about Jim Boeheim’s ejection in the Syracuse vs Duke game last Saturday. Watch as Virginia Tech head coach James Johnson works with his players on fundamentals including not fading away on jump shoots and using ball screens. Here is a look at coach Johnson mic’d up at a Hokies practice.